Download Infinity box setup software here, Infinity box is one of the best Software or Firmware flashing box for MTK or MediaTek, Spreadtrum, Rockchip Qualcomm CPU etc and also good for Android smartphones to flash firmware and update flash files and also this box can be use to repair any kind of software problem on the phones, which is supported with this box. 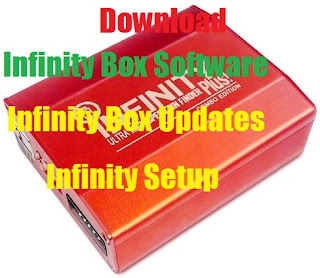 If you have purchased this box and want to download and install the box software, then this topic will help you on this regard. This box is unique and supports various mobile devices both CDMA and GSM Mobile devices to flash, unlock and many more things you can do with the box.